or click on a map label to begin. 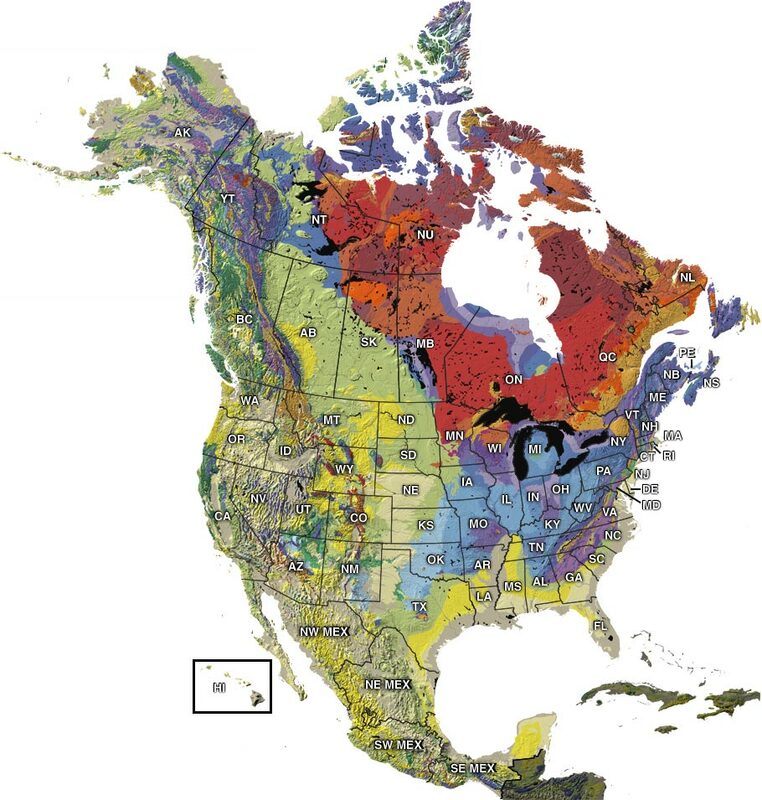 Use this map to explore the history of life through geologic time in North America. Use the arrows or click and drag to navigate the map. Click on the map labels or on the geologic time scale for details. Or use the menus below to narrow your search.